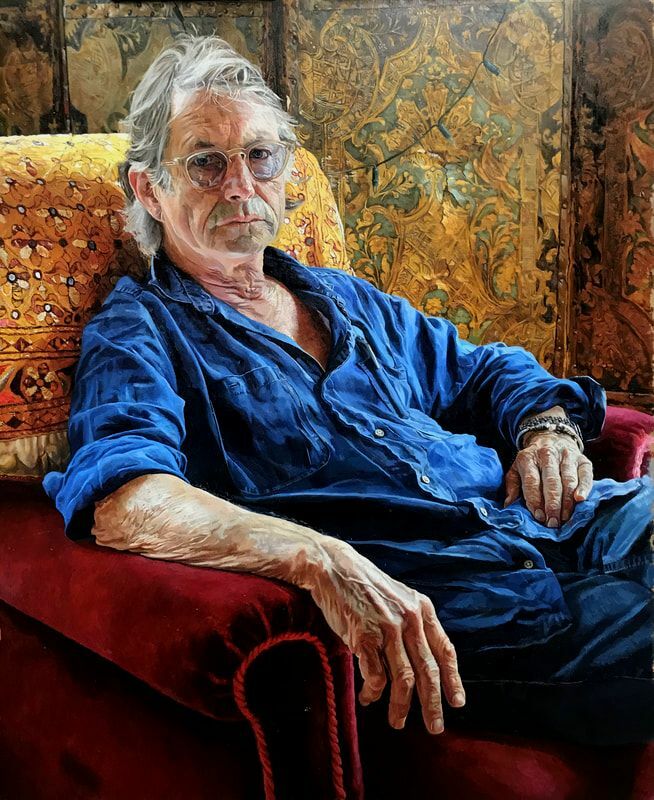 Alastair's portrait of Bruce Robinson has been selected for exhibition in the BP Portrait Award 2018 at the National Portrait Gallery, London from the 14th June till the 23rd September, click the NPG link below for more information. Bruce Robinson, director, screenwriter, novelist and actor. Best known for writing and directing the cult classic Withnail & I, and adapting the screenplay, The Killing Fields, for which he was nominated for an Academy Award and won a BAFTA. All 48 portraits are now in Edinburgh. More details here on the Private View, and gallery opening times. The exhibition continues its travels in Winchester. More details here on the Private View, and gallery opening times.